Can you help fight the California drought by consuming only foods and beverages that require minimal water to produce? Well, as the old saying goes, the devil is in the details. In a recently published paper, Daniel Sumner, director of the UC Agricultural Issues Center at UC Davis, and research assistant Nina M. Anderson mine the details of this issue to help us all better understand just what impact our food choices can have on conserving California's precious water. To begin with, not all water drops are equal because not all water uses impact California's drought, the researchers explain. So just what water does qualify as California drought-relevant water? 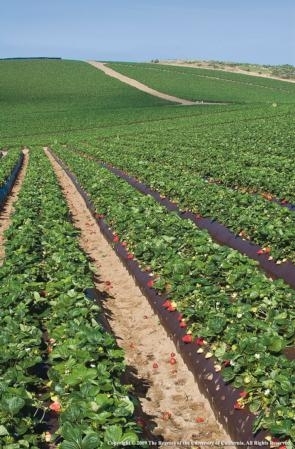 You can definitely count surface water and groundwater used for agricultural irrigation as well as water used for urban purposes, including industrial, commercial and household uses. 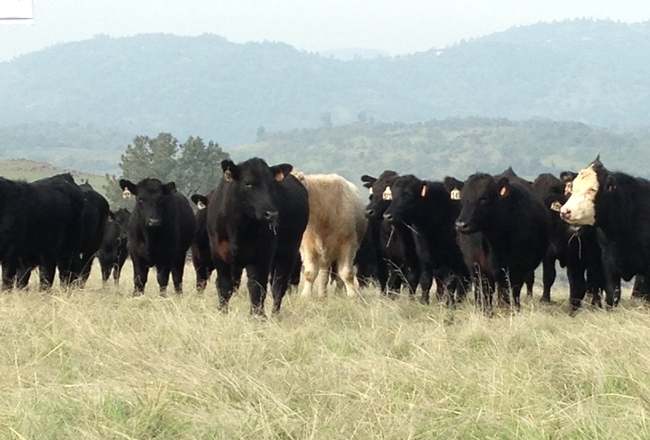 Rain that falls on un-irrigated California pastureland is not relevant to California's drought. In short, California's drought-relevant water includes all irrigation water, but excludes rainfall on non-irrigated California pastures as well as any water that actually came from out-of-state sources and wound up in livestock feeds or young livestock eventually imported by California farmers and ranchers. Also, the amount of water that soaks back into the ground following crop irrigation doesn't count – and that amount can be quantified for each crop. I think you're getting the picture; this water-for-food analysis is complicated. For this paper, the researchers examined five plant-based and two animal-based food products: almonds, wine, tomatoes, broccoli, lettuce, milk and beef steak. In teasing out the accurate amount of water that can be attributed to each food, the researchers first calculated how much water must be applied to grow a serving of each crop or animal product. 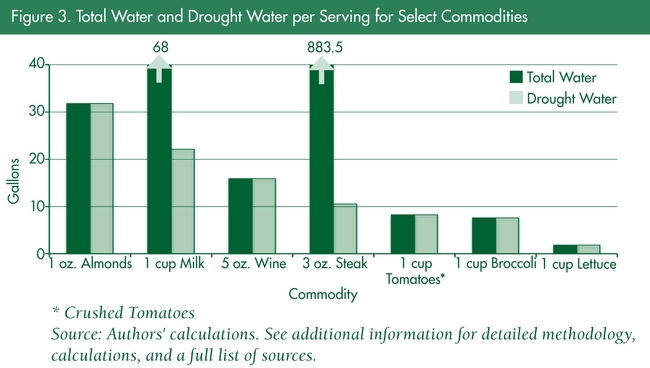 Then they backed off the amount of water that is not California drought-relevant water, arriving at a second figure for the amount of drought-relevant water used for each food. They provide a terrific graph (Fig. 3) that makes this all quite clear, comparing total applied water with California drought-relevant water used for the seven food products. Milk and steak top the chart in total water use, with 1 cup of milk requiring 68 total gallons of water and a 3-ounce steak requiring 883.5 total gallons of water. “Remarkably, a serving of steak uses much less water than a serving of almonds, or a glass of milk or wine, and about the same as a serving of broccoli or stewed tomatoes,” write Sumner and Anderson. Still skeptical? Check out their paper in the January-February issue of the “Update” newsletter of the Giannini Foundation of Agricultural Economics at http://bit.ly/1XKZxxC. A year ago, a co-worker wrote a post on this blog entitled “It’s just a waste.” The sad facts of food waste are something we pay attention to since we work for the UC Postharvest Technology Center. A key component of our Center’s mission is to “reduce postharvest losses.” This topic also hits close to home on a personal level since I have always struggled with using up produce before it spoils. I go shopping about once a week, and tend to purchase just a bit more produce than what we will actually eat – in the hopes that one of us will suddenly adopt healthier eating habits by increasing our intake of fresh produce. I place the produce in my fruit ripening bowl, on the counter, or in the fridge, according to the recommendations on my handy produce storage chart. But nearly every week something goes awry, usually with my schedule, and I end up not serving the delicious produce-based meals I had planned, or I forget to pack my lunch, and oops, the negative effects of delayed consumption hit my produce. The numbers show I’m not alone in this struggle, since research reports that nearly 30 percent of all produce losses in the United States happen at the consumer level. I was surprised to learn that today the average American consumer wastes nearly 50 percent more food than we did in the 1970s. (Link to the August 2012 Natural Resources Defense Council Report.) In the Food & Agriculture Organization of the United Nation's chart you can see that consumers from every other region around the world do significantly better than we in using their produce. I want to do better, too! I hereby resolve to try harder to stick with my menu plan, pay closer attention to produce on the counter and the fridge (sometimes known affectionately in the produce industry as the “black hole”), and I will try very hard to be more creative in my use or preservation of quickly ripening produce. My single biggest challenge is bananas. I try to buy a smaller hand of 5 to 6 bananas with some green tint left. They go on my banana hook in a cooler corner of my kitchen. At least half the weeks of the year those bananas have black spots within 3 to 4 days, and by day 5 there are usually 2 to 3 bananas left that are no longer appealing to my family. So almost half the bananas I buy usually don’t get eaten. I know, I know, “buy a smaller hand of bananas,” you say. That’s easier said than done, at least at the markets in which I shop. 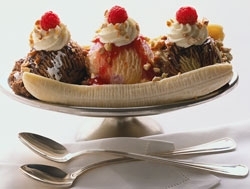 Thankfully there are many cooks out there willing to share their recipes for creative ways to use up an over-supply of bananas. Below is a starting list of ideas that I’ll be drawing from as I make an effort to reduce produce waste, and especially banana waste, in our home. Peel, insert a lollipop or popsicle stick and freeze. Eat as is, or dip in melted chocolate. Postharvest technology. Hmmm. What does that even mean to you? Like most people, you’ve probably never thought about it, but it actually affects you every day. At least whenever you eat fruits and vegetables, and let’s face it, we all need to be eating more fruits and vegetables. Working at the Postharvest Technology Center, I often think about how to spread our mission of how to reduce postharvest losses and improve the quality, safety and marketability of fresh horticultural products. Part of doing this is educating consumers about making good choices so they have a better experience eating fruits and vegetables. And, if consumers have a better experience with fruits and vegetables, we eat more of them. If we can create demand at the consumer end, it will trickle through to the people that handle your produce: processors, retailers, distributors, carriers, marketers, shippers and finally growers. The type of cultivar the farmer chooses to plant and what kind of soil, temperature and light conditions, irrigation and fertilization practices at the farm affect flavor and nutritional quality. When the product was harvested, how it was handled prior to arrival at your market, and how your market stores the product all influence the quality of your produce. If you’d like to learn more about how you can make the most of your fresh fruit and vegetable experiences, the Postharvest Technology Center is offering a 40 percent discount (making it only $4.20!) 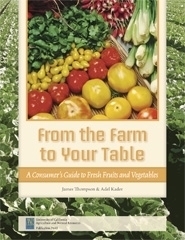 on “From the Farm to Your Table” through the end of September 2012. And as long as you’re there, our other consumer publication, the poster “Storing Fresh Fruits and Vegetables for Better Taste” (just $1) would be a lovely addition to your refrigerator! Please contact us at (530) 754-4326 or postharvest2@plantsciences.ucdavis.edu if you’re interested in ordering multiple copies for a nutrition, health or cooking class or you can purchase them through our online bookstore. Even though U.S. consumers routinely buy and eat genetically engineered corn and soy in processed foods — most are unaware of the fact because the GE ingredients are not labeled. When consumers are asked in surveys whether they would buy genetically engineered (GE) produce such as fruit, most say they would not buy GE produce unless there were a direct benefit to them, such as greater nutritional value. Consumer concerns about GE fruit are a factor discouraging commercialization. 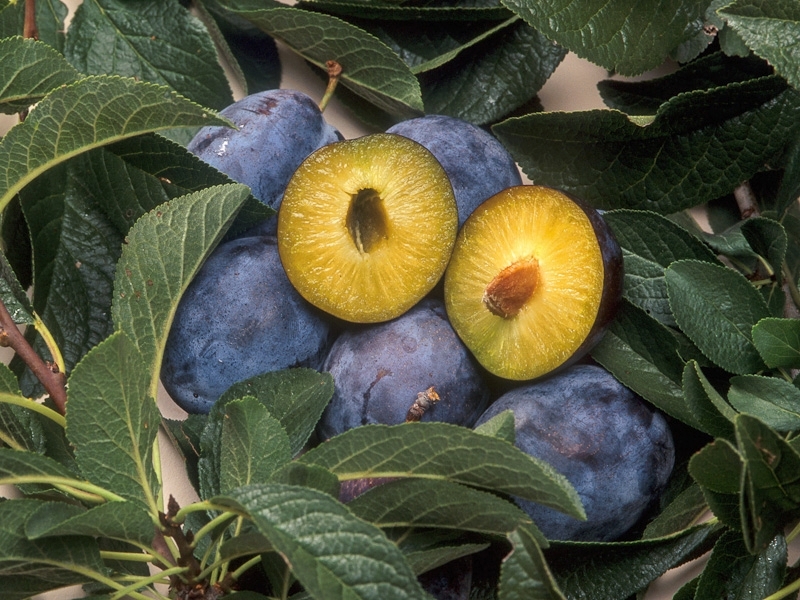 Plums shown are engineered to resist plum pox virus; they have received regulatory approval, but have not come to market. Consumer reluctance to buy GE fruits and nuts is a major obstacle to commercialization of these crops in California. To date, no such crop has been brought to market in the golden state, although many have been researched and are being developed. Yet with continuing invasions and spread of exotic insects and diseases for which there is no known control, the potential importance of trees or vines with some form of genetically engineered resistance is on the rise. In California, such diseases include Pierce's disease in grapes, crown gall disease in walnuts, and the invasive citrus greening (huanglongbing or HLB) in citrus. "These are potentially devastating diseases to California growers, who produce 70 percent of the fresh fruit and nuts for the entire United States," notes Victor Haroldsen, scientific analyst at Morrison and Foerster, in the current California Agriculture. "They are also a mainstay of the California economy. Fruit and nut tree crops accounted for one-third of the state's total cash farm receipts, or $13.2 billion in 2010." Now, however, Haroldsen reports that there may be a way to satisfy both consumers and growers — called "transgrafting." 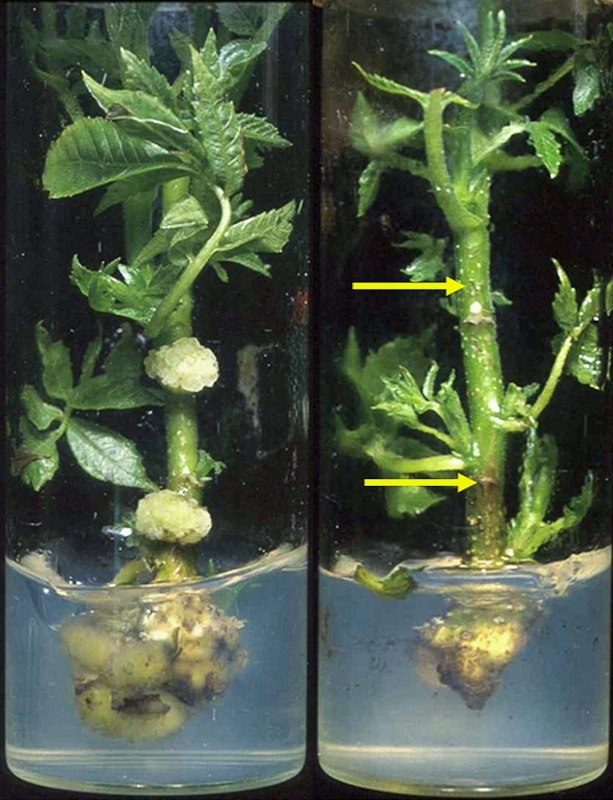 Wild-type (left) and GE (right) walnut microshoots, after inoculation with crown gall-inducing virus. The wild-type shows tumor growth; the GE microshoot on the right does not. Transgrafting allows disease resistance to protect the plant while maintaining non-GE nuts. Transgrafting combines an old practice with a new technology. For decades, it has been established practice in commercial orchards and vineyards to graft "scions," the fruit-producing budwood, onto "rootstock," the roots and trunk. "In transgrafting the genetically engineered rootstock can potentially confer the whole plant with resistance to disease. Yet the rootstock does not transfer the modified genes to the fruits or nuts produced," said Haroldsen. Although over 10 years old, transgrafting technology is just now nearing commercialization, partly due to the long generation times of most trees and vines. Two such transgrafting applications are: a crown gall-resistant walnut rootstock, and a grape rootstock that confers moderate resistance to Pierce's disease. "The key advantage of transgrafting is that the plant's vascular system can selectively transport across graft junctions the proteins, hormones, metabolites and vitamins from the roots without changing the heritable genes or DNA sequence in the fruit or nut." says Haroldsen. In recent research at UC Davis, Haroldsen (a former graduate student) and his colleagues confirmed that modified DNA and full-length RNA from the rootstock does not cross the "graft union" into the scion, in the walnut and grape applications, or in a tomato model of these two systems. 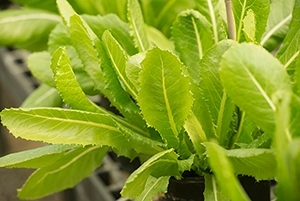 "These current GE applications address root or xylem pests and diseases, but future applications will likely target traits aimed at consumer needs such as increased nutritional value or improved flavor," said Haroldsen. "If perceived risks to personal health and the environment could be reduced, genetic engineering could benefit not only growers but Californians around the state," he adds. What would you think if someone told you that they were fighting for a “share” of your stomach? Bring to mind organ harvesting? Invasion? Theft? I first heard this term a month ago when I took part in a gathering of food experts. 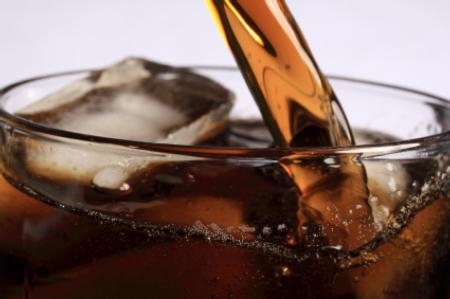 Someone recalled recently overhearing soda company executives brainstorming how they could increase what they referred to as “stomach share.” They were seeking to expand their product lines (from sodas, to juices, waters, and exercise drinks) to make sure that whenever someone drank a beverage, any beverage, it was theirs. What was particularly disturbing, he recalled, was how little the consumer figured in the equation. The goal was to get product into stomach, as often as possible. The story reminded me of another phrase I’d come across in my research for my book Empty Pleasures — “prosperity stomach.” Coined in 1966 by Henry Schacht, an executive from a diet-food company, and mentioned in his talk that year to newspaper editors called ‘How to Succeed in Business without Getting Fat,” the phrase referred to a troubling problem faced by the food industry. Because people (at least the middle class) did less manual labor and could easily (and cheaply) purchase abundant food, they had begun to worry about weight gain — and count calories. This was causing sales to decrease, and, in turn lowering the profits for food companies and marketers. Schacht’s answer? Diet Foods. By developing more foods with fewer calories, the industry could sell more by promoting it as less. “Stomach share” and “prosperity stomach” — terms invented nearly 50 years apart — remind us that there are real reasons why it is so difficult to consume only when we are hungry. Given their resonance, the wonder is not that our stomachs have expanded, it’s that they have not expanded even further. Companies vie for space in consumers' stomachs.